Seems most every painting I do leaves me with a little something to ponder – my Yoda moments. 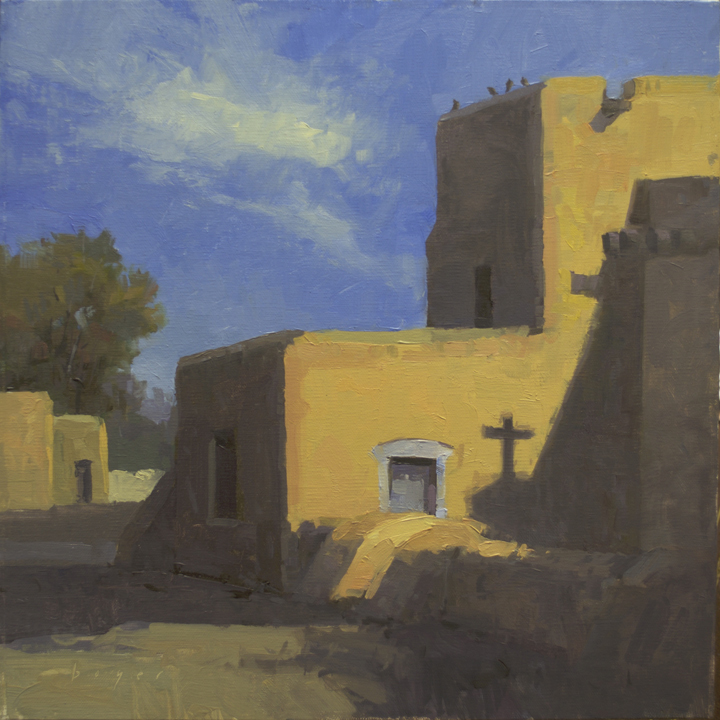 Anyone familiar with Taos will likely not recognize this as San Francisco de Assisi Mission Church. The typical view shows the sweeping buttresses, bell towers and imposing entry. Always curious I walked around the side of the church. So… immediately threw my gear on the ground, grabbed my sketchbook and quickly recorded enough of the fleeting moment to complete the painting once I got my easel set up. If I put on the brakes, just for a second or two and take the time to look beyond the obvious – life holds all kinds of awesomeness! ← Fox in the house…I wish!